Novelist and biographer of Elizabeth Bowen, Victoria Glendinning, continues to provide new details of how Henry Reed was perceived by his contemporaries, and his visit to Ireland in the spring of 1946. I have covered here, previously, how Reed spent two weeks at Bowen's Court, Elizabeth Bowen's ancestral home in County Cork. 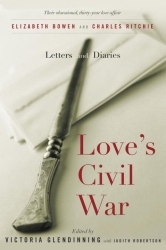 Now, in a recent collection of letters and diary entries by Bowen and her long-time lover, Charles Ritchie, Love's Civil War (Toronto: McClelland & Stewart, 2008, with Judith Robertson), we are privileged to discover more about how Reed's visit came about. The love affair between the writer Elizabeth Bowen and the elegant and charming Canadian diplomat Charles Ritchie blossomed quickly after their first meeting in 1941 and continued over the next three decades until Bowen's death in 1973. Theirs was a passion that flourished in the heightened, dangerous atmosphere of wartime London that Bowen wrote about so vividly in her novels. When Ritchie's diplomatic career took him further afield  to Paris, Bonn, New York and Ottawa  the lovers wrote to one another continuously, sharing their hopes and fears, their boundless affection for one another, and their longing to be together again. Published for the first time in this exquisite volume, accompanied by extracts from Ritchie's remarkably candid diaries, the love letters of Elizabeth Bowen reveal a passionate, intelligent, eloquent, strong-minded and wonderfully funny woman. They also reveal a man bewitched by her writer's mind and imagination, and by her adoring vision of him as a greater man than he ever felt himself to be. More details about Bowen and Ritchie in this Guardian review. So, Bowen was already acquainted with Ramsbotham, as well! And we see what might be construed as the beginnings of civil war in Reed's relationship with Ramsbotham, which would only last until 1950. At the time of this letter, Bowen was writing The Heat of the Day (London: Jonathan Cape, 1949), her novel on wartime London. In addition to her work on Bowen, Victoria Glendinning has published biographies on Vita Sackville-West, Edith Sitwell, Jonathan Swift, Anthony Trollope, Rebecca West, and Leonard Woolf. Love's Civil War has just been re-released in paperback. This review comes from the New Statesman and Nation for November 3, 1945 (p. 302-303). Reed devotes most of his time and effort to reviewing Bowen's The Demon Lover and Other Stories, which apparently he thoroughly enjoyed. Reed was friends with Bowen, and would later spend two weeks holiday with her at her ancestral home in Ireland in April, 1946 (map). It is not an accident that in her little book on the English novelists [English Novelists. London: William Collins, 1942] Miss Elizabeth Bowen should have written so well of Thomas Hardy and Henry James. Hardy, it will be remembered, thought poorly of The Reverberator, James not altogether well of Tess of the d'Urbervilles; and the two giants had little in common except their occasional dependence on a hard centre of melodramacruder, surprisingly enough, in James than in Hardy. Miss Bowen has something in common with both of them, though she manages to avoid their improbabilities, and she has enough of the true radiance of art to justify one's mentioning them. She shares Hardy's love of architectonics and of atmosphere: what Hardy will make of a woodland, heath, or starve-acre farm, she will make of a house or a summer night; and so far as persons go, I think the creator of Tess and Eustacia would have admired the drawing of Portia and Anna in Miss Bowen's The Death of the Heart. And she shares with Henry James a love of seeing how a story can be persuaded to present problems of artistry in the presentation of the "point of view"; and a curiosity (it is not the same as belief) about the supernatural and about the ambiguous territory between the supernatural and the natural. She has not James's sense of "the black and merciless things that are behind great possessions." Evil itself does not intrude on her world. It is not evil, but experience (they are not dissimilar, perhaps, but they are not the same) that corrodes the innocent people at the core of her books. The newly-arrived clock, chopping off each second to fall and perish, recalled how many seconds had gone to make up her years, how many of these had been either null or bitter, how many had been void before the void claimed them. He thought, with nothing left but our brute courage, we shall be nothing but brutes. Her short stories possess the qualities of her novels, but inevitably the atmosphere in her short stories is richer and more concentrated. The more elaborate of them suggest the climaxes of the elements of novels, but in a necessarily muted or diminished form; it is their atmosphere which moulds them, and which at times perhaps even brings them into existence. A perfect example of this is the first story in the book, "In the Square." Little happens in it, but enough strands are gathered together to give a sense of tension, climax and relief. And the relief is achieved mainly by atmospheric means. The story is about a few people living on in a partially bombed house in a ravaged London square. The principal feeling one has about them is their terrible independence of each other; all of them have mysterious, irregular relationships, unhappy and furtive. One has a feeling that what remains in the house, that reluctant proximity of the unconnected, is not what a house is meant to enclose. This is what war has done: to houses, to people. It is a true enough observation; but what startles one is the fact that one suddenly becomes aware that the early evening is spectacularly merging into late; the time of day is changing and a shift inthe emotions of all the characters is coinciding with this. A mere observation has become a story quivering with subtle, dramatic life. The war, and the subtly degrading effect of the war, hold these stories together as a collection. They have a great variety and many attractions. One thinks particularly of their comedy and their dialogue; the story called "Careless Talk" is a brilliantly literal interpretation of that official phrase; "Mysterious Kôr" has a wonderful conversation draped round evocations from a poem byRider Haggard; the woman in "Ivy Gripped the Steps" is a strong enough figure for a novel. But it is probably those stories which involve the supernatural that are most striking. 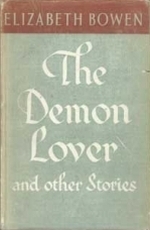 "The Demon Lover" itself, a ghost story of the traditional kind, is horrible enough, though not of Miss Bowen's best. In some of the others"Pink May" and "The Inherited Clock," for examplethe ghostliness is blown into existence by, or from, something real; and always, even when the boundary into the abnormal is passed, the normal still accompanies us. It is, like "The Turn of the Screw," a story which provokes interpretation and commentary; but since it is, in a serious sense, a discovery, there remains about it something of its own, at once inexplicable and profoundly satisfying. No living writer has, I think, produced a finer collection of stories than this. Miss Inez Holden is well known for her skilful reporting of factory life. To the Boating is offered as a collection of short stories. But in most of them the bridge between reporting and art has not been crossed. in the first story, "Musical Chairman," there is an excellent account of a series of pathetic and amusing interviews between the Chairman of a Local Appeal Board and various people who are rebelling against the Essential Work Orders. But the fancy bits of stroy-telling in which Miss Holden has arbitrarily framed these scenes are so artificially stuck on that they have not been blown away in the proof-reading. It is a drab collection of oddments that Miss Holden has put together. And she shows, furthermore, a taste for drabness for its own sake. The book concludes with three fanciful little satires: presumably in order to deaden any excitement which these might arouse in the reader, Miss Holden has chosen to swathe them in the grey, vague mists of Basic English. The habit, common enough in contemporary poets, of publishing work of an elementary or even infantile nature, is spreading to writers of fiction. Shown to one in manuscript, Miss Holden's stories and Mrs. Strachey's novel, First Impressions, might reveal promise; one would note passages of humour or observation. Why, then, does one pass over these when the books appear in print? Doubtless because the books challenge comparison with the early work of writers who seem to have tested themselves more rigorously and more critically before emerging into print. Amateurish is the deplorable word that one cannot avoid in mentioning Mrs. Strachey's novel. It is supposedly a satire on the leisured life of the Twenties. Possibly Mrs. Strachey has seen that life, but there is nothing in this rambling, unformed little book that could not have been got from many other social satire. Bad syntax and petty indecency are no substitute for the slickness of wit which some satirists achieve in their first books, and which it is hard for a satirist to do without. And the title of Mrs. Strachey's book goes no way to excuse its muddle. I have surely spent too much time in the library today. But it has been time well spent. In preparation for traveling to the libraries at Duke University next month, I have been attempting to make a list of everything I need to complete my collection of Reed's writings, mostly book reviews and poems published in The Listener and New Statesman in the '30s and '40s. I've started with last year's Most Wanted poster, crossing off anything I've since managed to obtain. Progress has been slow, apparently. The second, however, was a review of Elizabeth Bowen's A Time in Rome (1960), critiqued by the consummate Italophile himself, Henry Reed. 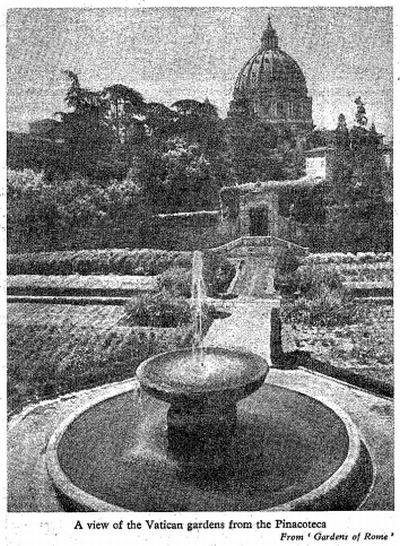 The photograph above is from Gardens of Rome, by Gabriel Faure (1960). Here's a more recent shot (Flickr) from (almost) the same perspective. The "Pinacoteca" is the Vatican art museum. The review appears in The Listener from January 12, 1961, and is entitled "Rome: 'Time's Central City'" (.pdf). Reed seems to have thoroughly enjoyed it. He may have been slightly biased owing to his friendship with Bowen, but when it came to Italy, I don't believe Reed would have pulled any punches. When have you ever seen such dexterity with a semi-colon? I reached a minor milestone this past weekend: I closeted myself in the library, and labeled and stuffed nearly 150 manila envelopes with the last of the photocopies from the original plastic filebox, as well as most of the printouts and copies I've made since making the decision to go Noguchi. Now, all I need to do is spend four or five hours double-checking that all the items in these envelopes are actually in the bibliography, and then I can file them in the bookcase. Progress! The tide is turning. I was flabbergasted. I read it again: Henry Reed wrote some of Elizabeth Bowen's book reviews for her. Elizabeth Bowen began writing for The Tatler in 1938. In 1940 the journal merged to become the monthly Tatler & Bystander, and from 1945 to 1958 Bowen was reviewing fiction regularly, in her "Book Shelf" column. Stallworthy mentions that Reed spent a fortnight holiday in April, 1946 at Bowen's Court, Elizabeth's ancestral summer home in County Cork, Ireland. Would this be the visit when he did her Tatler reviews for her? Which novel was she working on? Was it The Heat of the Day, her only work of long fiction published between 1938 and 1949? Also, the quote about Reed is apparently unattributed: it can't be part of the preceding letter to Virginia Woolf, because Woolf committed suicide in 1941. I am at an impasse, however, because there is no run of 1940s Tatler & Bystander even remotely accessible, and there is no available index. Some hope may lie in a 1981 bibliography of Bowen's work (by Sellery and Harris), but according to the introduction of The Mulberry Tree: Writings of Elizabeth Bowen (Lee, 1986), 'there are almost seven hundred entries under the section that includes reviews.' That's daunting, even if I'm only looking at the mid-Forties Tatlers. But the Big Question is: did Reed write Bowen's Tatler book reviews under his own byline, or hers? Is it possible? Are there Bowen-attributed Henry Reed blurbs littering the advertisements of literary journals from 1946? Or simply un-indexed Reed reviews waiting to be re-read?